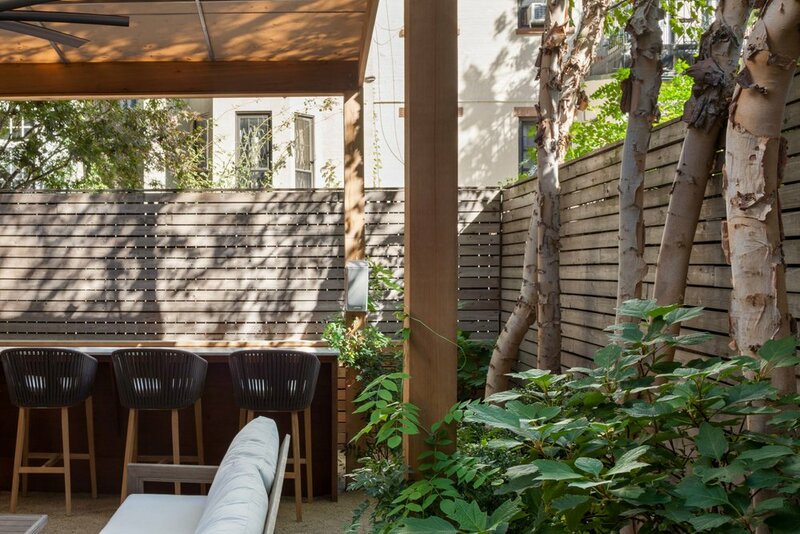 A perfect setting for a summer evening gathering; this Chelsea backyard provides privacy while maintaining a cool, airy vibe that’s perfect for partying or relaxing. 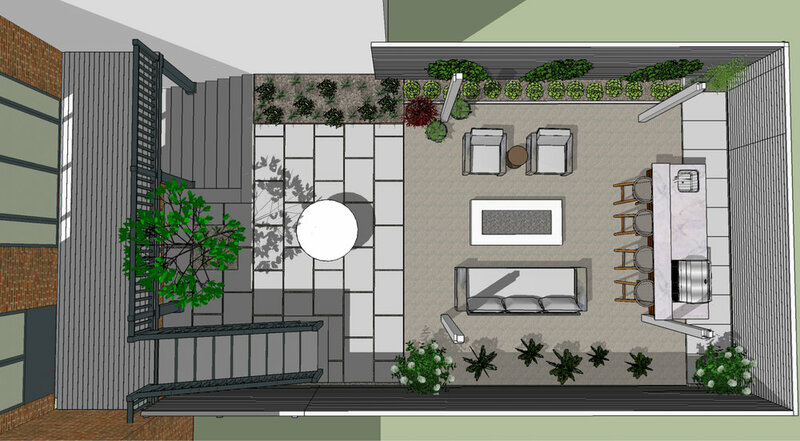 Bluestone meets stonedust to create different areas of the garden. 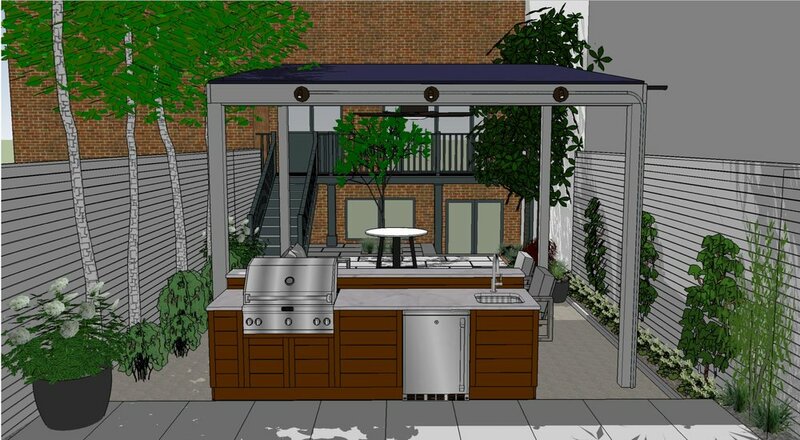 Our favorite part might be the kitchen bar with a grill, refrigerator, + icemaker. Surround sound speakers + barstools make the bar inviting + high functioning. 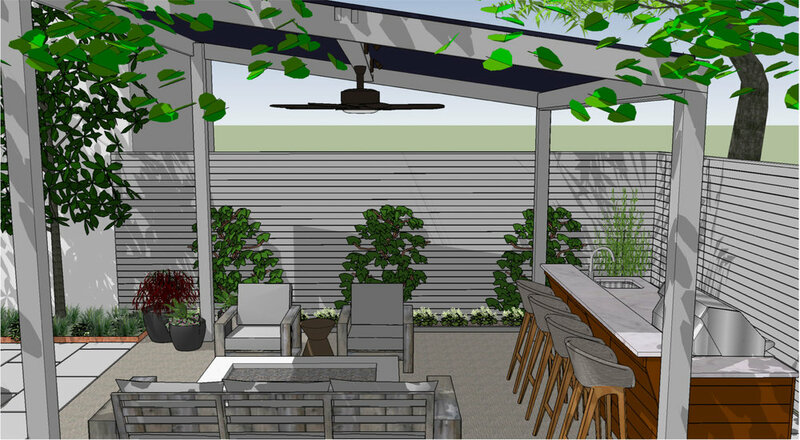 Native vines climb the cedar pergola’s posts, and river birches juxtapose the cedar fence to balance wild flora with structured hardscapes. White furniture, the white marble counter, and stainless steel bar accessories add a clean, polished look.